Many researchers (including myself) believe that supporting intestinal health and restoring the integrity of the gut barrier will be one of the most important goals of medicine in the 21st century. There are two closely related variables that determine our gut health: the intestinal microbiota, or “gut flora”, and the gut barrier. Let’s discuss each of them in turn. The human gut contains 10 times more bacteria than all the human cells in the entire body, with over 400 known diverse bacterial species. We’ve only recently begun to understand the extent of the gut flora’s role in human health and disease. Among other things, the gut flora promotes normal gastrointestinal function, provides protection from infection, regulates metabolism and comprises more than 75% of our immune system. Dysregulated gut flora has been linked to diseases ranging from autism and depression to autoimmune conditions like Hashimoto’s, inflammatory bowel disease and type 1 diabetes. Conventional researchers and doctors originally scoffed at the idea that a leaky gut contributes to autoimmune problems, but now they’re eating their words. It has been repeatedly shown in several well-designed studies that the integrity of the intestinal barrier is a major factor in autoimmune disease. This is a crucial point to understand: you don’t have to have gut symptoms to have a leaky gut. Leaky gut can manifest as skin problems like eczema or psoriasis, heart failure, autoimmune conditions affecting the thyroid (Hashimoto’s) or joints (rheumatoid arthritis), most autoimmune diseases – including celiac disease, type 1 diabetes, multiple sclerosis, rheumatoid arthritis and inflammatory bowel disease. But what else can cause leaky gut? In short, the same things I listed above that destroy our gut flora: poor diet, medications (antibiotics, NSAIDs, steroids, antacids, etc. ), infections, stress, hormone imbalances, and neurological conditions (brain trauma, stroke and neurodegeneration). Leaky gut = fatigued, inflamed and depressed. This systemic inflammatory response then leads to the development of autoimmunity. And while leaky gut and bad gut flora may manifest as digestive troubles, in many people it does not. Instead it shows up as problems as diverse as heart failure, depression, brain fog, eczema/psoriasis and other skin conditions, metabolic problems like obesity and diabetes and allergies, asthma and other autoimmune diseases. that occurs when weaker strains are exposed to an acid environment. 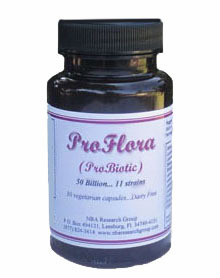 flora for a healthy digestive system.